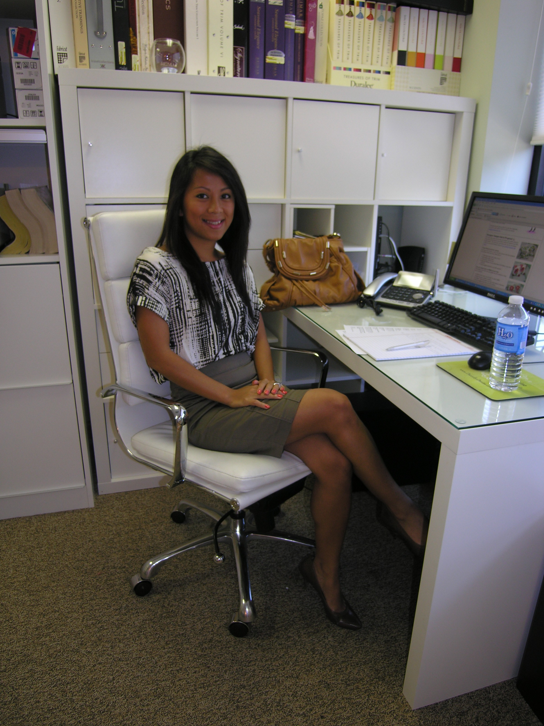 Welcome Tuyen, Our Newest Team Member! On Monday we had a new member start work at Decor by Denise, Tuyen Huynh (pronounced ‘twin win’). Tuyen is Vietnamese and lives in Falls Church, VA. Tuyen studied Interior Design at the Art Institute of Washington; however, due to the economic downturn she had to put her design career on hold, opting to work with children in an after-care program in Arlington for a while. Tuyen has been looking for an opportunity to get back into the world of interior design and answered our recent ad for an Interior Design Assistant. Tuyen will be helping Sarah and I with day-to-day design tasks, working with our clients, vendors and partners, and helping us stay on track with our projects. She will also be helping me with some of our marketing activities. We are so excited to have Tuyen on board and know she will be a wonderful addition to our growing team! Come join us on September 23rd for our Brunch, Buy and Beautify event, meet Tuyen and get some great buys for your home and health!